Will Housemarque's Nex Machina be "the last of its kind"? Ten years ago next month, Housemarque launched one of the games that ushered in a new era of independent creativity. Braid, Geometry Wars, Castle Crashers, Trials; a string of releases across two memorable years showed gamers (and console gamers in particular) that the connected, digital world would offer much more than just multiplayer Halo. Small teams could now experiment with bold new concepts, or breathe fresh life into genres that originally thrived during the arcade boom. Housemarque was firmly and proudly in the latter group. 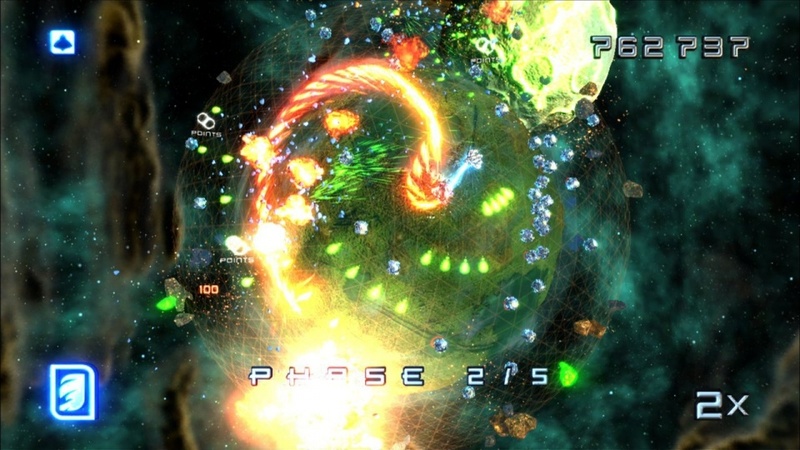 Super Stardust HD, a PlayStation exclusive, was an essential purchase in the early days of the PS3, a moreish combination of twitchy arcade gameplay and - to quote CEO Ilari Kuittinen - "state of the art tech and execution." Super Stardust HD looked fantastic, it played even better, and it could be purchased at the touch of a button, for the kind of price-point that had never previously existed on consoles. It was a seductive combination, and a resounding success with gamers. "There is now a bigger audience for digital games in general, but not exactly on the console platforms"
For Kuittinen and Housemarque, the period between 2007 and 2010 was a "golden" time for digital games on console, but that changed with the arrival of the current generation. Smaller games are less visible now, Kuittinen says, the breakout successes fewer and further between. "Now it seems that we aren't having that many digital console hits in this generation, even though this generation has been more successful. For me, Rocket League is maybe the only smaller, digital-only game that became a really big success story on the console side. "I might be totally wrong, but you don't see the coverage of small games like you did, say, eight years ago. There was a stream of hits at that time, but it dried up when we started this [generation]. Journey was the last one, I think." Both Journey and Rocket League built success through PlayStation, albeit in different ways: the former as a platform exclusive, the latter making its console debut as a free game on PS Plus. Housemarque has worked with Sony for a decade, during which time nearly all of its games have been exclusive to PlayStation or, in the case of Resogun, free to PS Plus members. That relationship has served the company well, Kuittinen says, allowing the studio to build an audience, and to leave the responsibility of marketing and PR to its partners. With Housemarque's next game, however, that relationship will enter a new phase. Nex Machina, which is being developed in collaboration with Eugene Jarvis, will see the Finnish studio place equal emphasis on PC as a platform for the first time in almost 20 years, and act as its own publisher for the first time in its entire history. According to Kuittinen, self-publishing has been one of Housemarque's goals for years, but the decision to shift emphasis away from consoles was informed by practical necessity. "There is now a bigger audience for digital games in general, but not exactly on the console platforms," he says. "Steam and PC are offering great success stories. The audience on PC is much more willing to try out different stuff than the console audience. I don't know if that's more demand or supply, but that's what has happened." "We aren't having that many digital console hits in this generation, even though this generation has been more successful"
The degree to which the market for smaller downloadable games has declined on consoles is hard to define, but the PC is certainly a more welcoming environment for different ideas. Free-to-play, Early Access, Steam Greenlight; examples of the PC audience embracing new concepts are legion, but Housemarque is making a very different bet. For all the quality in its products, Housemarque's "trademark" - to use Kuittinen's terminology - is rooted in applying technical expertise and lavish polish to a genre as old as the medium itself. 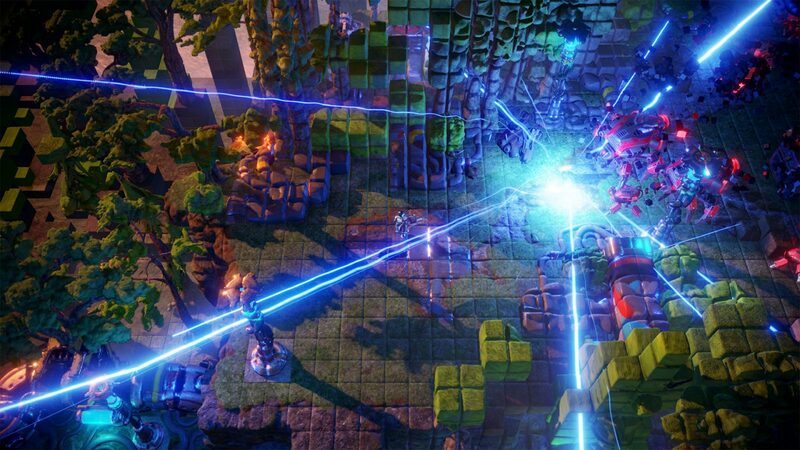 Nex Machina may be new to many PC players, but in the specific sense that the kind of games in which Housemarque specialises are more commonly associated with the console and the arcade. "There aren't that many games that can give any data or any clues about how well Nex Machina could do, because there hasn't been that many games of this kind on PC - at least, not successful ones," he says. "Obviously, some roguelikes have been successes - The Binding of Isaac - but we take the shoot-em genre up to the highest degree. To be honest, we don't have any estimate because there's no basis for one. The market is going to tell us." Kuittinen says that "millions and millions of people have played our games, but mostly on PlayStation platforms." The question of how many of those people also own PCs, and whether Housemarque's reputation has carried beyond PlayStation's walled garden, will be answered in part by Nex Machina. The biggest challenge Housemarque faces, though, will be familiar to every developer working today: overcrowding. The audience for digital games is bigger on the PC, certainly, but the number of games available on Steam has ballooned in recent times, with almost 40% of all games on the store released in 2016 alone. By Kuittinen's reckoning, the rate is around 500 new games a month, every month, which makes even selecting a release window "a leap of faith." "We can see the need to diversify, and I wonder if there is still breathing space for the games that we do"
"You need to find a way to navigate that, and the thing is that you don't know - you don't fully know the environment," he says. "It might be that, in hindsight, you can see that you happened to release at a pretty good time, or you can see that you should have postponed it by a month or so... There is uncertainty, but you just need to live with it and hope for the best." With limited marketing resources at it disposal - "we're certainly not gonna buy a $100,000 campaign from PewDiePie" - Housemarque has built interest within the PC audience by emphasising its pedigree, and by adding a number of features to the game itself. Nex Machina's Season Structure will foster competition within the community over a longer period, its Challenges will let users adjust the game's parameters to create new ways of playing, and Replay Mode will record the session of every entry on the leaderboard so it can be studied other players. It is a conscious effort on Housemarque's part to extend the lifespan of what could prove to be a crucial release. The other selling point is Eugene Jarvis, the revered creator of Defender, Robotron, Smash TV and many more games that laid the groundwork for most of what Housemarque does today. Kuittinen freely admits that the opportunity to "work with our heroes" was impossible to pass up, but if there is an audience for a game like Nex Machina on PC, then the involvement of an icon like Jarvis could prove to be decisive. "There are some more mature, middle-aged guys," Kuittinen laughs. "He's had so much influence on what we've done... He adds that additional layer of credibility in the eyes of some people out there. But all the young kids, they don't have a clue. "We've been carrying the torch for these arcade experiences for the last 20 years or so. It is what we've always wanted to do, and hopefully [with Nex Machina] we can let new people know that these experiences are really essential to gaming - that they started it all - and try to educate people in that way." Kuittinen hopes that the effort behind Nex Machina pays off, that a community forms around the game for Housemarque to nurture and nourish. However, he is also refreshingly candid about the alternative. "We've been exclusive and, relatively, we've done really well, but the big, big picture tells us that it seems there's not enough demand for this"
"Yeah, we've been exclusive and, relatively, we've done really well, but the big, big picture tells us that it seems there's not enough demand for this," he says. "Maybe this multiplatform thing is going to fix that up. But the thing is the games, and how we've done those; we've used relatively big teams, we make our own tech, these sorts of things that we feel are really necessary in order to get to that level that's needed, that we're pleased with. "That takes quite a lot of resources, and we're gonna find out if there's enough audience out there to appreciate that and justify the start of the next experience." This speaks to the difficulty that a studio like Housemarque faces in a marketplace overflowing with games made by far smaller teams. That commitment to executing to "the highest degree" produces excellent results, and occasionally best-in-class results, but there is always an alternative - not as good or as polished, perhaps, but likely cheaper to buy and certainly cheaper to make. Success is always relative to investment, and Edmund McMillen and Florian Himsl will have a far lower break-even point on The Binding of Isaac than a studio with several dozen employees. Ultimately, that could mean a change in direction for the studio, the details of which Kuittinen is not yet ready to discuss. "The next games that we are working on are not really that kind of game," he says, referring to the top-down shooters for which Housemarque is known. "It's going to be something different from us, after the games we're getting out now... In general terms, the problem might be that the bigger audience might be expecting something else than a top-down or side-scrolling game - let's put it that way. "The funny part is that we're gonna have a documentary about all of this, coming out later this year. But that's another thing, and besides, we don't know how the story ends yet." Well, I'll get it on PS4 anyways, even if my PC is way more powerful. Just because of that giant TV screen and comfy couch, I'll always be supportive of the console market. Wish them all the best for this game, both versions, it looks awesome. Brilliant, talented team. Wish them all the best and hope it's a massive success for them. I think that it's harder to gauge sales these days because we don't have numbers (back in the 360 era Gamerbytes had a column analyzing sales based on game scoreboards). Housemarke has always delivered, learned and improved in everything they released. Super Stardust HD, Dead Nation and Alienation are games that I can play again anytime without any excuse for it. High quality developers like this guys deserve all the support they can get. Thanks for the kind comments! We´ll know pretty soon how PC audience is accepting this kind of 'pure' arcade action game. There aren´t really that many examples out there at least not any really successful ones. They had my money at "Eugene Jarvis"..... when does it come out?! !